Stationary awnings (fixed awnings) add beauty, charm and elegance to your home. In addition to the distinctive look that is sure to set you apart from the crowd, awnings can also help to protect your carpets, furniture and drapes from fading. 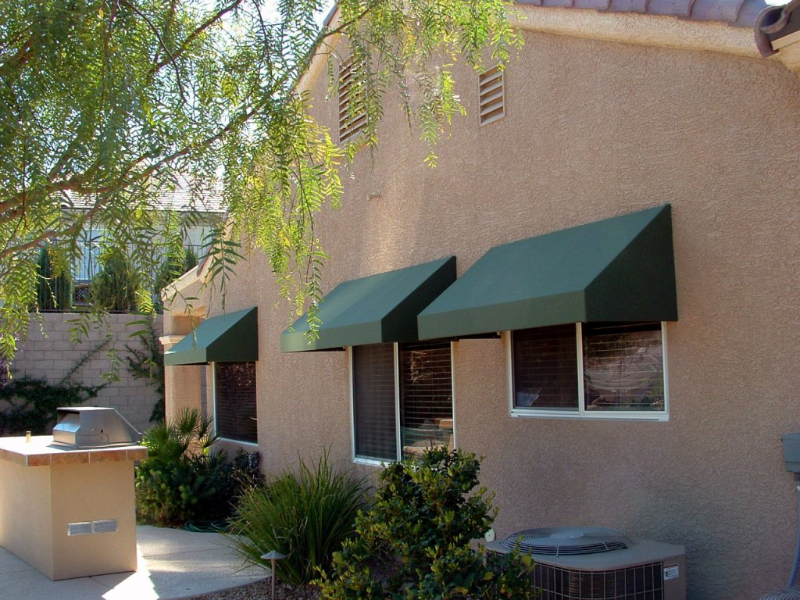 Accent Awnings & Shades of Las Vegas proudly manufactures each order to your exact specifications in a wide array of designer colors and frame styles. Whether it’s for relief from the heat, aesthetic beauty or to protect costly doors and windows from exposure to harsh weather, a stationary awning is a practical, durable and attractive solution.